A recently completed job in Yarmouth is, unfortunately, a worst-case scenario in the mold removal and cleanup business. When moisture finds an entry point, it will continue to insinuate itself into basements. This is what happened at that Yarmouth home. It was a mostly finished basement. Cracks in the foundation led to persistent water intrusion behind the finished walls and under the carpeted floor. While we’re generally very successful at salvaging structurel wood like beams, framing and joists, after mold growth, porous cellulose materials like drywall and carpet can’t be saved. We carefully contained the mold-contaminated materials and area during demolition so as to avoid introducing the dust and mold spores in the upstairs of the home. The rest of the job thereafter was our usual treatment of mold removal and cleanup, and we were able to return the homeowner’s basement to them for a new start. Don’t let your home reach the stage where demolition is the only solution. 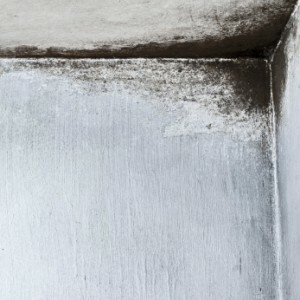 Mold contamination, if caught early, is a curable condition. Please remember that our mold inspections are FREE. If you have the slightest suspicion, call us today and we’ll be there tomorrow.